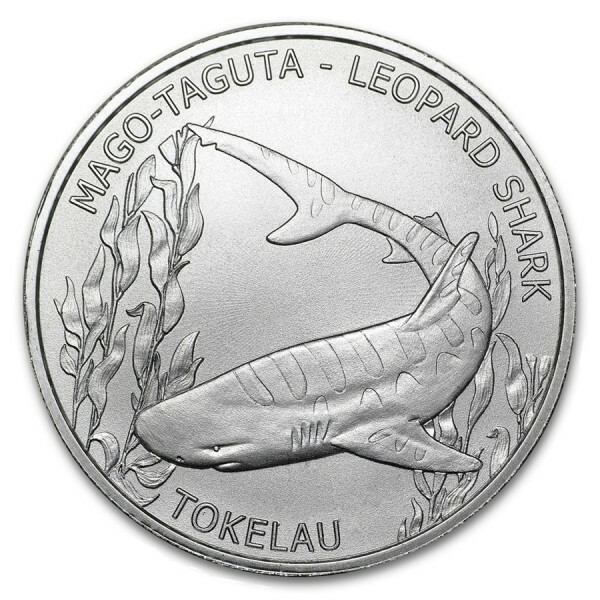 This 2018 1 oz Silver coin from the tropical New Zealand territory of Tokelau features a Leopard Shark. An exciting 12-coin Tokelau Ocean Life Series of silver bullion coins for the territory features various animal species of the region, and the Leopard Shark appears on the fifth release in that series. 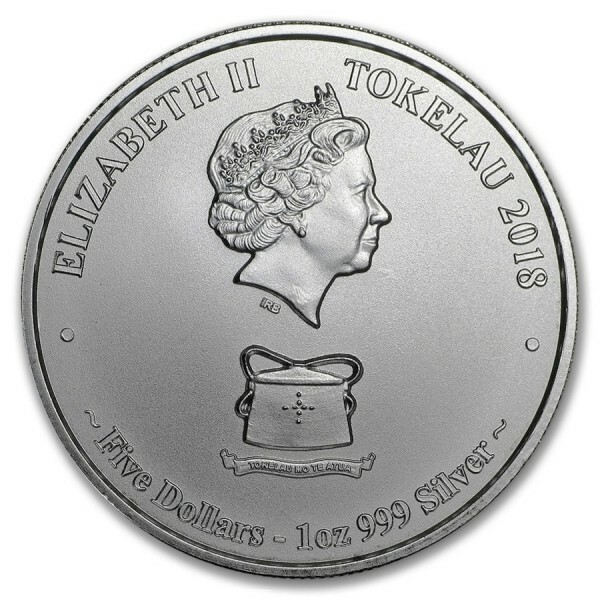 It contains 1 oz of .999 fine Silver, Brilliant Uncirculated. Multiples of 20 are packaged in plastic tubes.